Mitochondria are special organelles found in cells that produce most of the chemical energy that powers cell operations. Mitochondrial dysfunction has been associated with a wide variety of illnesses, including autism, Alzheimer’s disease, schizophrenia, dementia, Parkinson’s disease, epilepsy, stroke, cancer, chronic fatigue syndrome and cardiovascular disease. There are a number of different factors that can cause mitochondria to misbehave. However, mutations in mitochondrial DNA (mtDNA) are known to play an outsize role. Now, a team of researchers at Vanderbilt University has discovered that mutant mtDNA may cause diseases by behaving “selfishly” – in a fashion that benefits them while harming their host. The Vanderbilt researchers have identified specific molecular mechanisms that selfish mutant mtDNA use to circumvent the molecular control mechanisms that cells have developed to regulate mitochondrial activities. Detailed understanding of these molecular pathways could help researchers develop effective treatments for mitochondrial disorders. 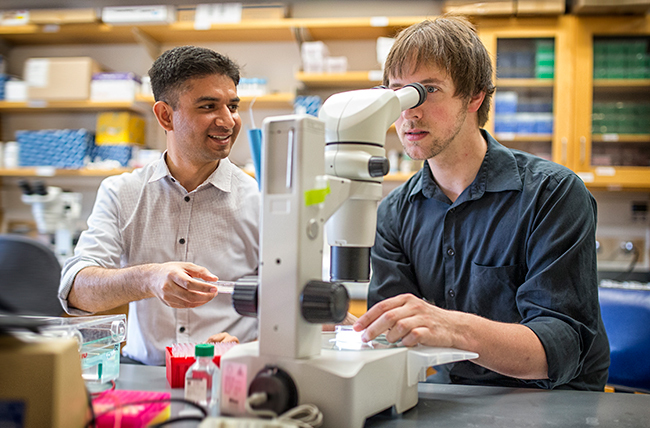 “About one newborn in every 200 inherits a potentially pathological mitochondrial disease which becomes manifest in about one adult out of 5,000,” said Assistant Professor of Biological Sciences Maulik Patel, who directed the Vanderbilt researchers. Their work is described in the paper “Homeostatic responses regulate selfish mitochondrial genome dynamics in C. elegans” published in the July 12 issue of the journal Cell Metabolism. 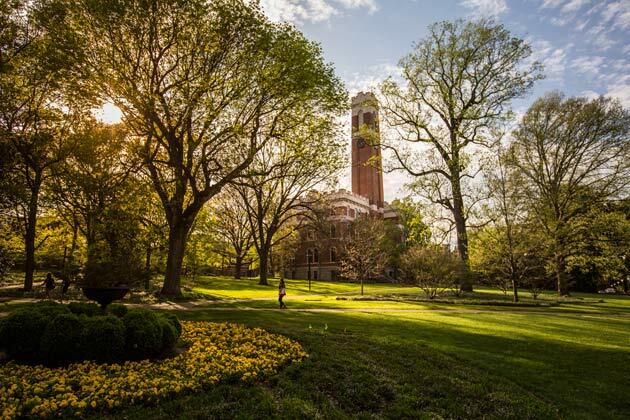 Team members who contributed to the study were Vanderbilt doctoral students Bryan Gitschlag and Cait Kirby, along with Associate Professor of Molecular Physiology and Biophysics David Samuels, Senior Research Specialists Rama Gangula and Simon Mallal, Major E.B. Shulman Professor of Infectious Diseases and Inflammation at the Vanderbilt School of Medicine. “Once we know the mechanisms that mutant mitochondria use to evade cellular regulation, then we can develop drugs that target these pathways and prevent the mutations from spreading,” said Patel. Mitochondria are a unique feature in eukaryotic cells, the types of cells found in plants and animals. The generally accepted theory is that mitochondria were originally independent bacteria that developed an ability to tap highly toxic oxygen molecules as a powerful energy source: an ability that prokaryotic cells lacked. So some prokaryotes found ways to convert the mitochondria into an “endosymbiont,” an organism that lives within the body of another organism. According to one popular theory, this symbiosis was so successful that it provided the eukaryotes with the added energy they needed to begin forming multi-cellular organisms. Although the self-contained mitochondria are generally known by their role as “the powerhouse of the cell” they are also involved in a number of other cellular operations, including regulation of the cell cycle and cell growth. One of the things that make mitochondria unique is the fact that they managed to retain their own DNA through the endosymbiosis process. The mitochondrial genome is extremely small compared to the massive human genome and consists of a closed ring of 37 genes inherited solely from the mother. The number of mtDNA copies in human cells differs widely by cell type. For example, human blood cells don’t carry any at all while human liver cells can house more thousands of copies apiece. In a normal cell, all the copies of mtDNA are the same. However, cells contain molecular mechanisms that disassemble and destroy unneeded or improperly functioning cell components, including mitochondria. As a result, these organelles can be replicated and destroyed at a very high rate. 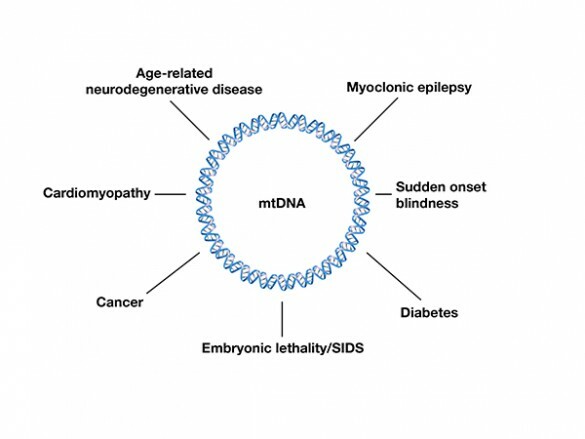 In the resulting mix, mutant mtDNA can arise. If they reach very high levels they become pathogenic. Mitochondrial disorders have some unusual properties. “Unlike bacterial infections that tend to be all or nothing, mitochondrial infections can range from zero to 100 percent,” said Patel. “This makes mitochondrial disorders multi-symptomatic, with a lot of individual differences. One person with a mutant load of 50 percent might be symptom free while another person with 80 percent might have severe symptoms.” In addition, mitochondrial diseases are transmitted from mother to child and, except for developmental disorders, tend to develop late in life. 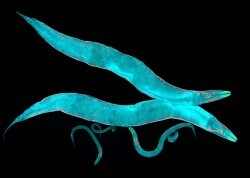 Patel and his colleagues studied the nature of mitochondrial disorders in the transparent roundworm Caenorhabditis elegans (C. elegans for short), a widely used animal model for exploring the basic processes in the development and behavior of multi-cellular organisms, including humans. The researchers found that cells activate two specific responses to deal with the mitochondrial dysfunction that ensues due to the presence of mutant mtDNA. Paradoxically however, these very responses inadvertently allow the mutant mtDNA to further propagate and proliferate. “Viewed from this perspective, mutant mtDNA can be thought of as selfish entities that exploit cell’s regulatory control mechanisms for their own evolutionary interests,” said Patel. 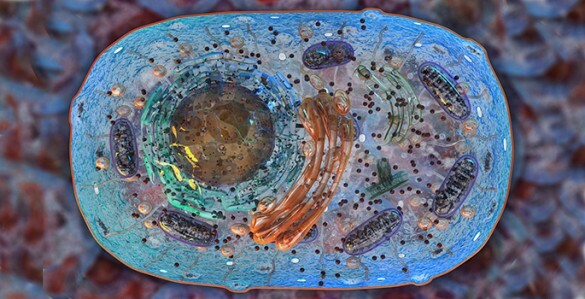 Cells possess a way to count the number of normal mitochondrial genomes they have. This allows them to make more mitochondrial genomes when they need more energy. 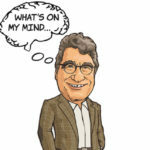 The researchers found evidence supporting co-author Samuels’ prediction that some mutant mitochondrial genomes are invisible to the cell’s counting machinery. As a result, the cells make more copies of the mutant genomes in a futile quest to reach optimal energy levels. The end result is the harmful over-production of mutant copies. Cells continuously monitor the health status of their mitochondria. When they detect mitochondrial dysfunction, the cells attempt to repair the problem with a procedure called the mitochondrial unfolded protein response. In addition to alleviating the dysfunction inside mitochondria, the procedure protects them from being destroyed by the cell’s disassembly mechanisms. 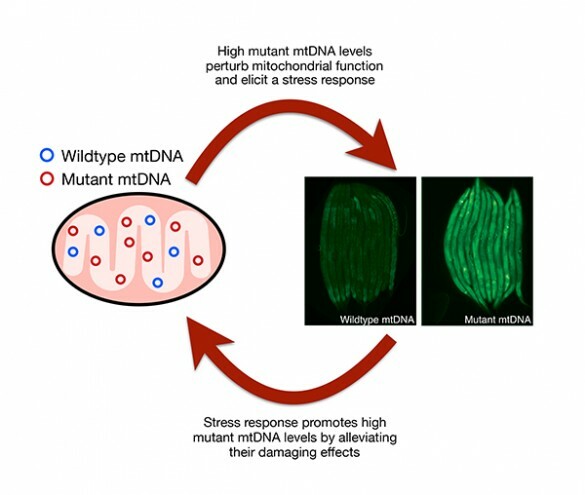 The researchers found evidence that some mutant mitochondria can activate this response which causes the cell to tolerate their presence and allows the mutant mtDNA to proliferate. “These are both cases where the mutant mitochondrial genomes exploit cellular defenses for their own ‘selfish’ interests,” said Patel. 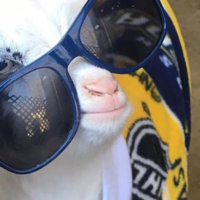 The research was funded in part by National Institutes of Health grants 5T32GM008554-18 and P30 AI110527.